An affordable option for travelers and holidaymakers requiring 2 beds, or extra bed for additional adult or child. 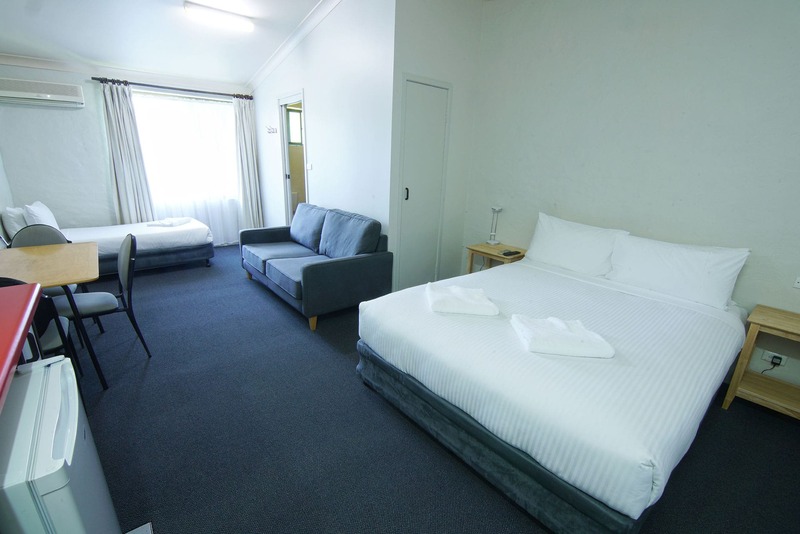 This room features a queen bed, 1 single bed, an en-suite bathroom, tea / Coffee making facilities, outdoor seating and table. Daily rate includes free Wi-Fi, 2x complimentary bottles of water, daily room service and use of all on-site recreational facilities including outdoor pool & BBQ area, tennis and squash courts.